The golden ticket idea is timeless, fun, engaging and to be quite honest, played out. The latest to join the golden ticket train is Coldplay. 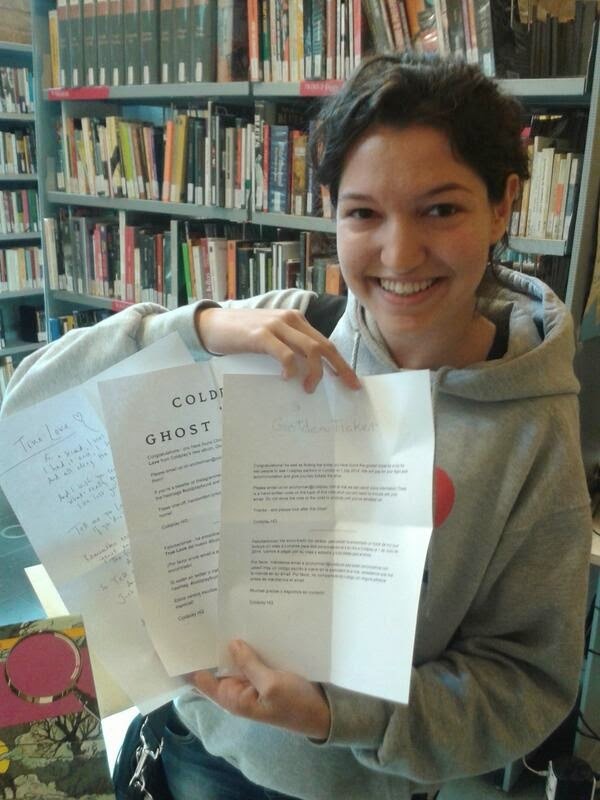 To promote their new album (Ghost Stories) they created an international scavenger hunt by hiding their new lyrics in randomly placed ghost books in 9 libraries around the world. One winner also won a trip for two to see Coldplay live. Fun? Yes. Modern twist on the timeless classic? Yes. Original? Not so much. But hey, if it’s not broken, don’t fix it. Right?